The New York not-for-profit community health plan Amida Care has reported a HIPAA breach that has potentially impacted 6,231 of its members. Amida Care specializes in providing health coverage and coordinated care to Medicaid members suffering from chronic health conditions such as HIV. On July 25, 2017, Amida Care sent a flyer to some of its members who had contracted HIV, advising them of an opportunity to take part in a HIV research project. The double-sided flyers contained details of the HIV research project on one side, and information on an Amida Care Summer Life Celebration event on the other. 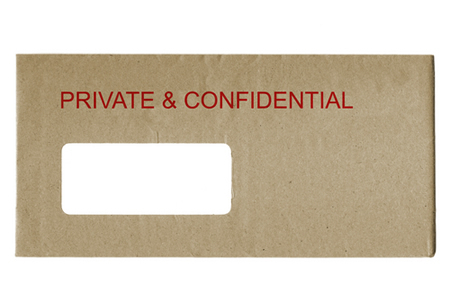 Care was taken to prevent any sensitive information being visible through the clear plastic windows of the envelopes. A blank sheet of paper was included with the patient’s name and address, which was visible through the window. However, while that should have prevented any information from being viewed, Amida Care discovered that the words “Your HIV detecta” – which were on the printed flyer – may have been visible through the paper. Amida has informed all patients who received the mailing of the potential disclosure of sensitive information, which was limited to the above words. No other information was visible through the paper. Amida Care has apologised for the error and has told patients steps have been taken to prevent similar incidents from occurring in the future. This is the second breach of this nature to have been discovered this summer. In July, Aetna sent a mailing to 12,000 of its members via a third party firm. While the letters were sent inside sealed envelopes, details about prescribed HIV medications were visible through the plastic windows of the envelopes for some of those patients.